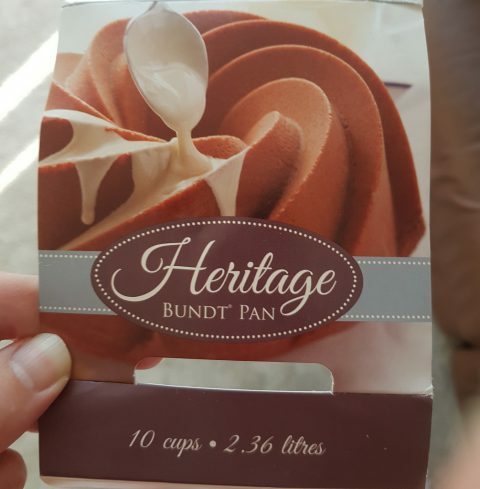 This Heritage Bundt Pan is from the Nordic Ware range and is made in the USA. It is a robust tin that has been coated with a non-stick coating for easier cleaning and cake release. 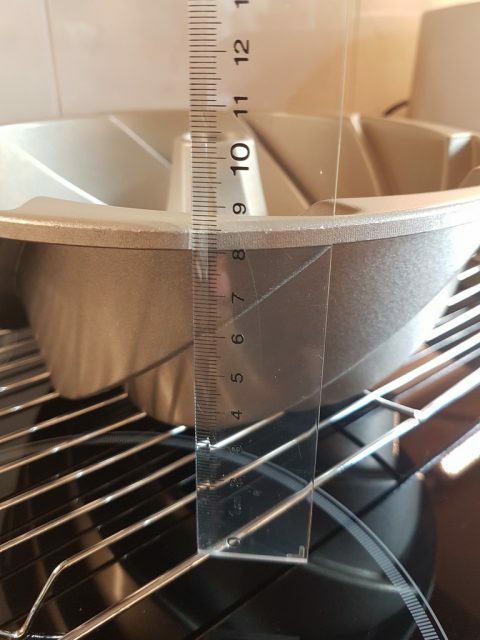 The pan dimensions are 25.5cm x 25.5cm x 9.5cm deep and the packaging states that the tin is for 10 cups or 2.36 litres. 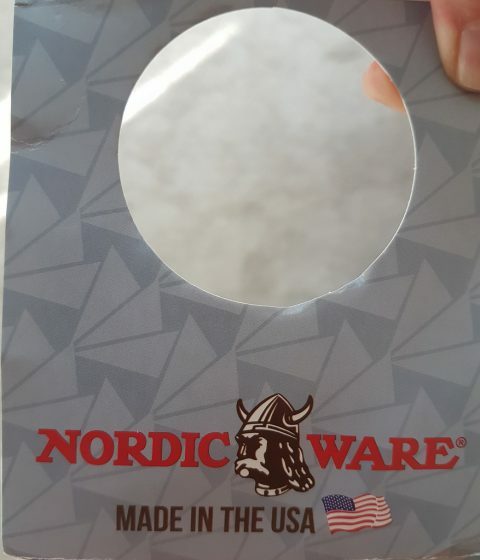 It also comes with a Nordic Ware Limited Lifetime Warranty. Further care instructions are included and inform you that you should wash the tin prior to using it. 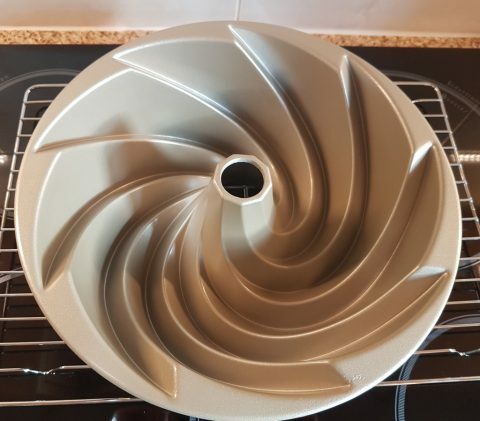 I washed it in hot soapy water, rinsed thoroughly and then left it to air dry fully. It also gives you further hints and tips on how to grease the tin and includes a Lemon, Ginger and Pepper Cake Recipe. I have used this tin twice already and each time it has created a beautifully crafted masterpiece. 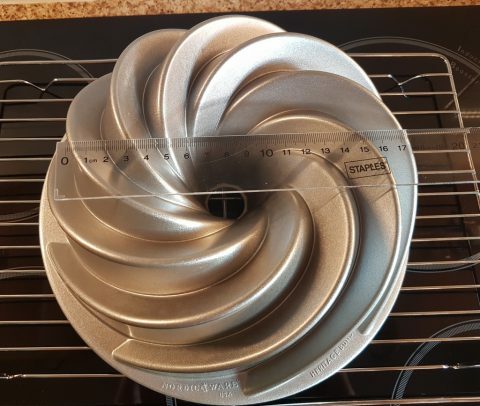 I made a Lemon Bundt Cake first and then made a Marble Orange Bundt cake. I coated my tin with Bake Easy Cake Release spray prior to adding the batter and filled the tin two thirds full prior to baking. Once baked and left to cool slightly the cakes slid out perfectly each time. This tin is a definite winner in my book and I highly recommend.